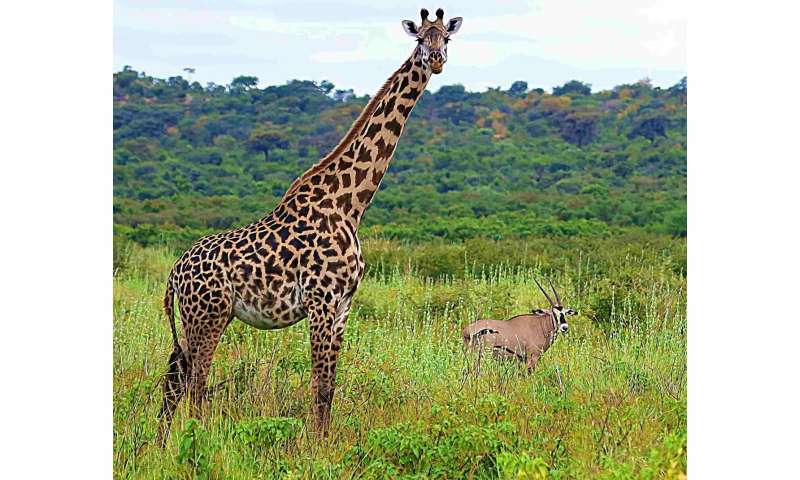 In a paper published this week in the Journal of Mammalogy, scientists from the Wild Nature Institute documented significantly higher densities of giraffes and dik-diks, and lower densities of cattle in a community Wildlife Management Area (WMA) relative to an unprotected control site. 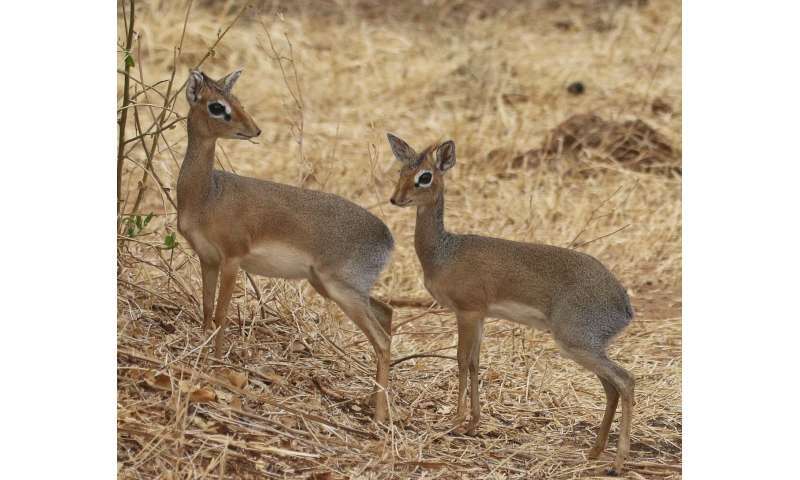 The positive ecological effects were clearly the result of the WMA because the study found similar wildlife and livestock densities in the WMA and control sites before WMA establishment, when both were managed by the same authority. Dr. Derek Lee, lead author of the study and Principal Scientist at Wild Nature Institute said, "There have been social and economic critiques of WMAs, but the ecological value or success of WMAs for wildlife conservation had never been quantified. Our data demonstrated that WMA establishment and management had positive ecological outcomes in the form of higher wildlife densities and lower livestock densities. This met our definition of ecological success, and hopefully these results will encourage more community-based conservation efforts." Community-based natural resource management, established on the transference of resource management and user rights from central government agencies to local communities, is promoted as a conservation tool and has become the dominant paradigm of natural resource conservation worldwide. Unfortunately, the ecological success or failure of these projects is rarely rigorously assessed. In Tanzania, efforts to decentralize wildlife management to local communities occur through the creation of WMAs, whereby several villages set aside land for wildlife conservation in return for the majority of tourism revenues from these areas. Nineteen WMAs are currently operating, encompassing 7% (6.2 million ha) of Tanzania's land area, with 19 more WMAs planned. This study took place in Randilen WMA in the Tarangire Ecosystem.